In May 2017 he ticked off the last on the list with the historic double, solo ascent of Everest, without oxygen and in a single climb. It marked the climax of the Summits of My Life project which over five years took him to some of the world’s most famous peaks, accompanied by a small group of climbers. 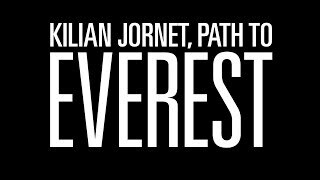 Path to Everest is presented by Adventure Entertainment and perfect for anyone who enjoyed the Oscar-winning documentary, Free Solo.